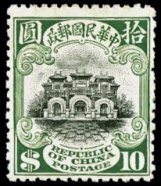 In 1913 the Post Office of the newly established government of the Republic placed an order with Waterlow & Sons in London for a new set of definitive stamps. 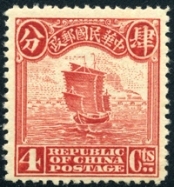 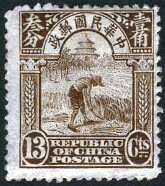 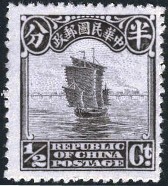 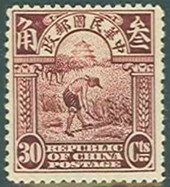 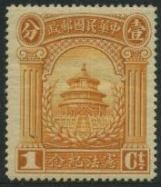 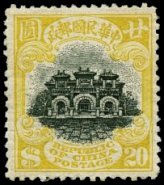 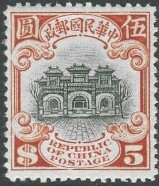 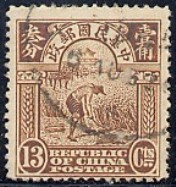 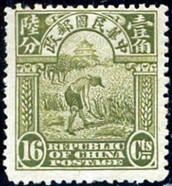 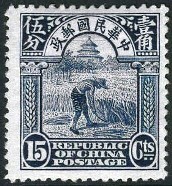 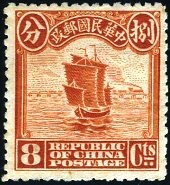 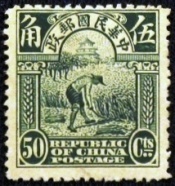 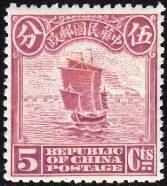 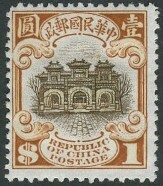 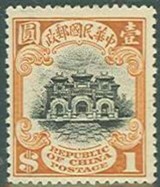 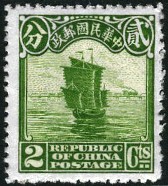 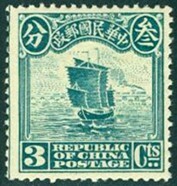 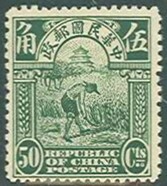 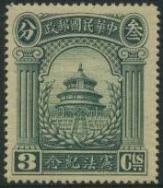 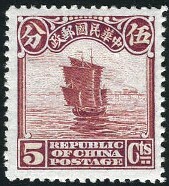 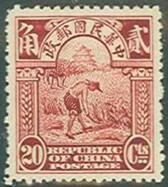 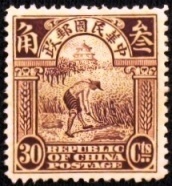 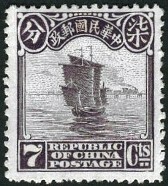 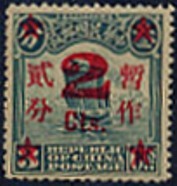 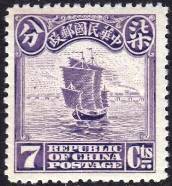 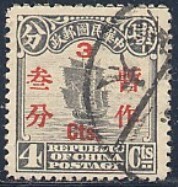 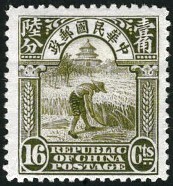 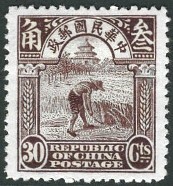 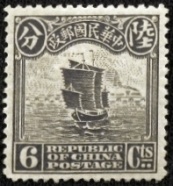 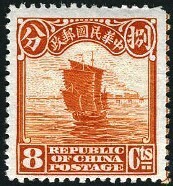 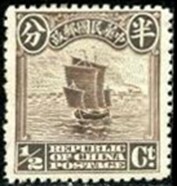 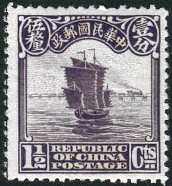 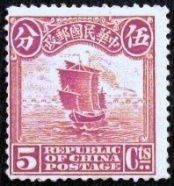 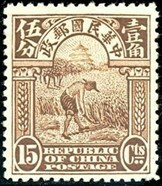 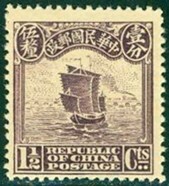 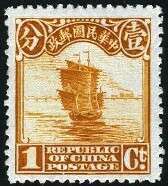 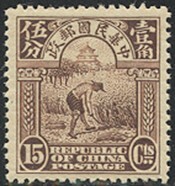 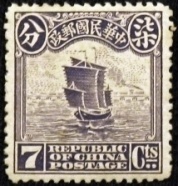 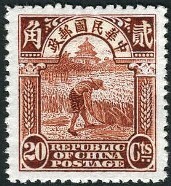 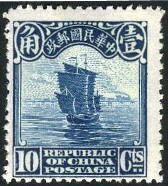 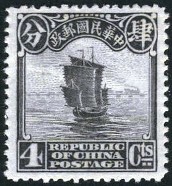 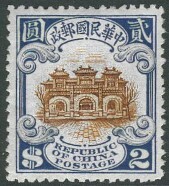 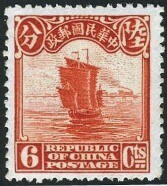 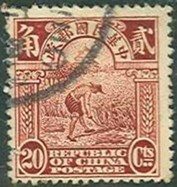 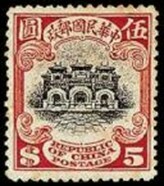 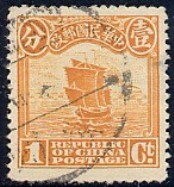 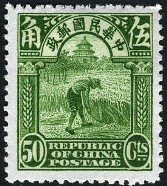 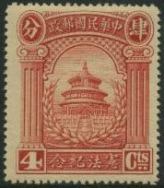 There were three basic designs for the new stamps: a junk (traditional Chinese ship) and railway train, representing Communications; a farmer reaping rice, representing Agriculture; and the Hall of Classics at Peking, representing Literature. 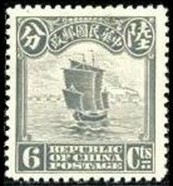 These basic stamps designs would be in use until the 1930s. 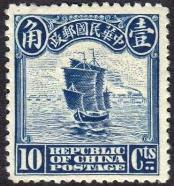 There were several reprints resulting in paper and design variations as well as surcharges and overprints. 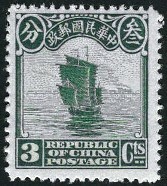 The 1913 London printing was engraved and recess printed by Waterlow & Sons. 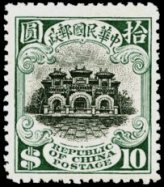 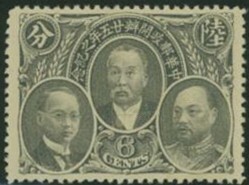 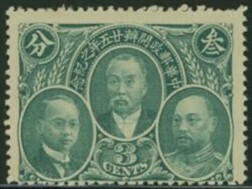 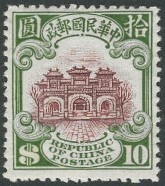 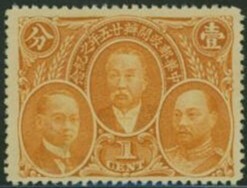 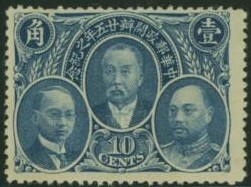 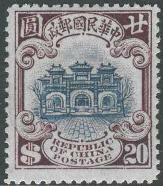 There were 19 stamps in the series with values ranging from ½c to $10.00. 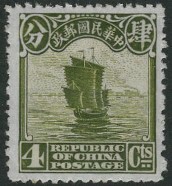 The stamps were printed on white wove paper and the design measures 22mm x 26mm.